Scientists have found a mysterious, distant object sitting at the edge of our solar system. 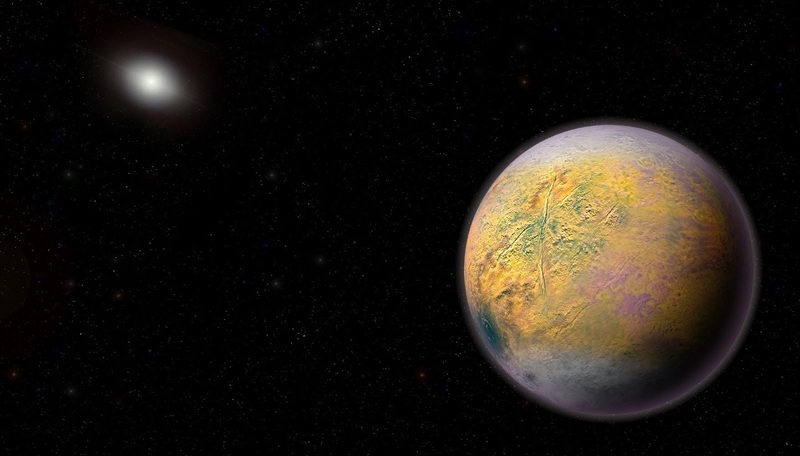 The discovery was made while researchers hunted for Planet X, a hidden world that astronomers think is lying undiscovered in our own solar system. Scientists have long thought and hoped that such a strange world is lying in the dark at the edge of our neighbourhood, but no proof has yet been discovered. The new object appears to suggest that is the case: it has an orbit that seems to suggest there is a Super-Earth wobbling it from afar. It often reaches much further away. Its orbit takes it to about 2,300 AU — that is 2,300 times as far away from the sun as we are, and vastly more than the already huge 34 AU that the distant Pluto sits at. At that distance, 2015 TG387 is one of the few known objects that is so far away that its orbit is not affected by even the giant planets in our solar system like Neptune and Jupiter. The object is one of the strangest things that astronomers have ever spotted within our own solar system. But there could be many more of them than we have ever realised, the researchers said. 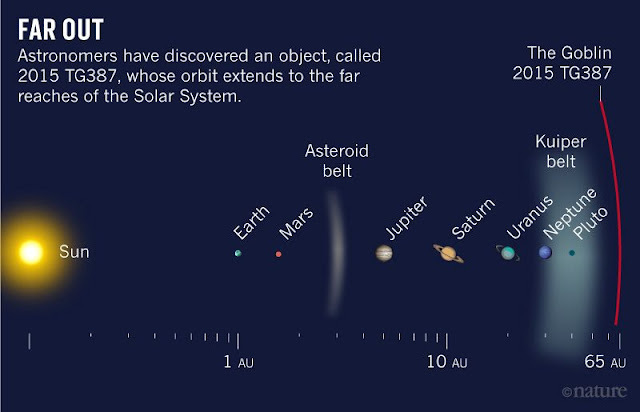 The new discovery is being announced by International Astronomical Union's Minor Planet Center. A paper with full details has been submitted to the Astronomical Journal.